There's a new blog in town and I'm proud to annouce it's arrival. 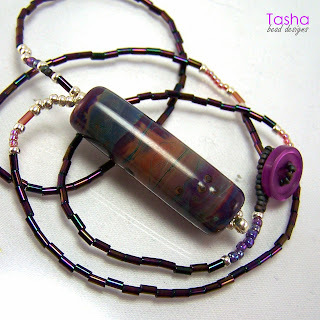 My best friend, Tasha, is an emerging jewelry designer (not like I coerced her ... exactly), and she's the one that took the plunge and bought my 80 bead orphan destash to create her new line of affordable lampwork jewelry. Obviously she's picked up something about lampworking because she just wrote a spectacular first post. I hope you'll all help me in supporting Tasha by stopping by and taking a look! I may pop in there from time to time to add my two cents.